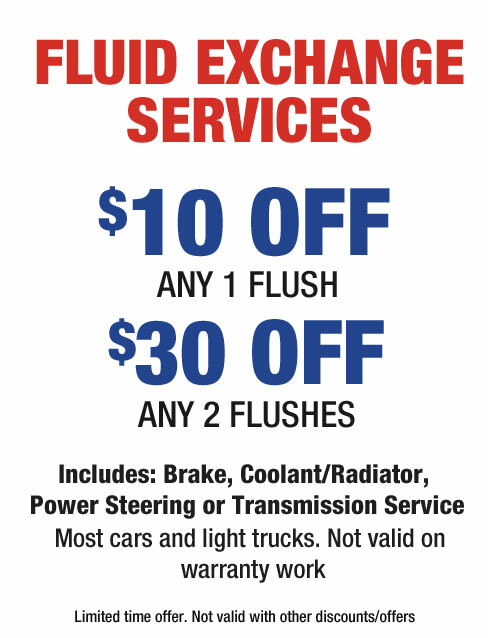 A number of your vehicle’s key functions rely on various fluids to keep them operating smoothly. Oil: To keep your engine running newer, longer change your oil and filter every 3,000-7,000 miles according to manufacturer’s recommendations and driving conditions. Coolant: To operate safely and effectively, your radiator should be kept clean, free of leaks, clear of blockages and filled with the proper coolant. Coolant should be changed regularly according to manufacturer’s recommendations.